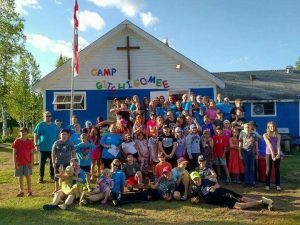 The objective of Camp Gitchigomee is to provide opportunities for [Thunder Bay] Deanery Anglicans and others to grow in the Christian life, to develop camping and sporting skills and to find enjoyment and refreshment all in an environment of Christian faith, worship and community. The Camp exists to nurture the knowledge of and love of Christ, and to show campers, by teaching and by example, what it means to live as a Christian. The Camp is intended to be a place where people have fun, use their existing skills and develop new abilities, including recreational and outdoor skills. People should be refreshed by their camping experience, not exhausted, anxious or uncomfortable. 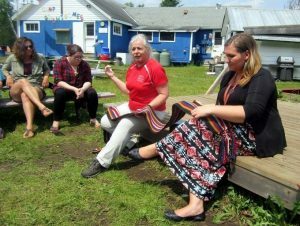 The natural beauty of the camp setting, the variety and challenge of the Camp program and the concern shown for the spiritual and physical wellbeing of campers should all contribute to this end. The realization that Camp serves to develop a greater knowledge and love of God in both campers and staff is the unifying principle which holds it together. Volunteer staff give their time as an act of Christian Service. Volunteers and paid staff are part of a team whose primary responsibility is to provide a safe and enjoyable camping experience in a mature Christian atmosphere. Camp Gitchigomee staff actively and willingly contribute to the well-being of others in work, play, learning and worship through expressions of love, joy, peace, patience, kindness, goodness, faithfulness, humility and self-control. Camp Gitchigomee exists to provide for young people and adults the opportunity to live in Christian community. Each camp, therefore, should be so conducted as to clearly indicate that Jesus is Lord over the life of the Camp and all its activities. Instruction in the Bible, in Christian belief and Christian living are included in the daily program in such a way that the campers will both comprehend and enjoy it, and find relevance to daily life at home. Corporate prayer should be an integral part of Camp life. Everyone at the Camp, both campers and staff, will be expected to participate. Every camper should be gently encouraged to pray, or learn to pray and should be inspired by the example of the staff. The atmosphere of the Camp should reflect the love of God, and be built upon the mutual affection and trust of each for all. Everyone in Camp should worship, work and play together. Courtesy and care for each other should be the dominant concern of all campers and staff. There should be a sense of self-discipline, justice, accomplishment and good, clean fun. Every member of the staff should work diligently towards this end. It is hoped that everyone will leave the camp carrying with them the Christian atmosphere creating a desire to return in the future and to provide for others the same joys that they themselves have received there.